Special Price - 23% OFF! This Belleek teapot was Introduced in 2015. 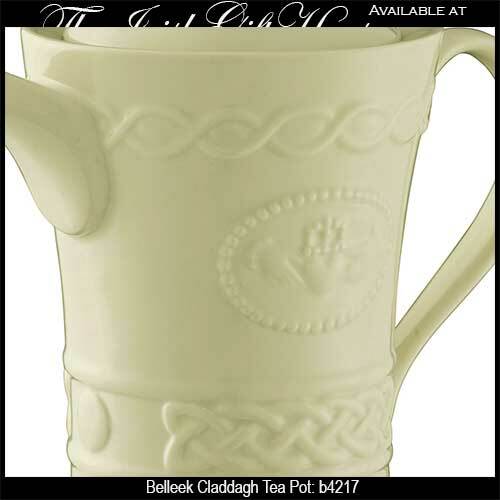 The Belleek teapot with the Claddagh and Celtic knots is great for either hot or cold beverages and it is safe in the dishwasher and microwave along with the freezer; it is also oven safe to 375F. The Belleek Claddagh teapot holds 20 ounces and it measures 6 1/2" tall x 7" wide. 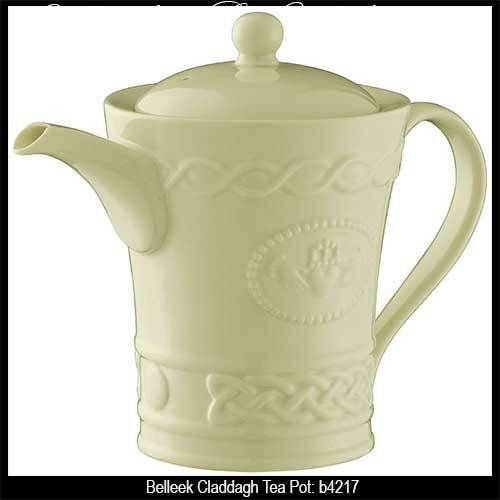 The Irish teapot is crafted of fine china in Belleek, Ireland and it is gift boxed with Claddagh and Celtic knot history cards that are complements of The Irish Gift House.